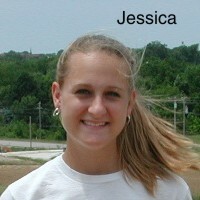 Jessica's claim to the Hall of Fame goes back to her very first year working at Lakeview Farms (2001). Her initial assignment was to pick the small miniature pumpkins that were given away by our Troll. After the 3rd or 4th week in a row picking troll pumpkins, Jessica told me she was "tired of pumpkins".